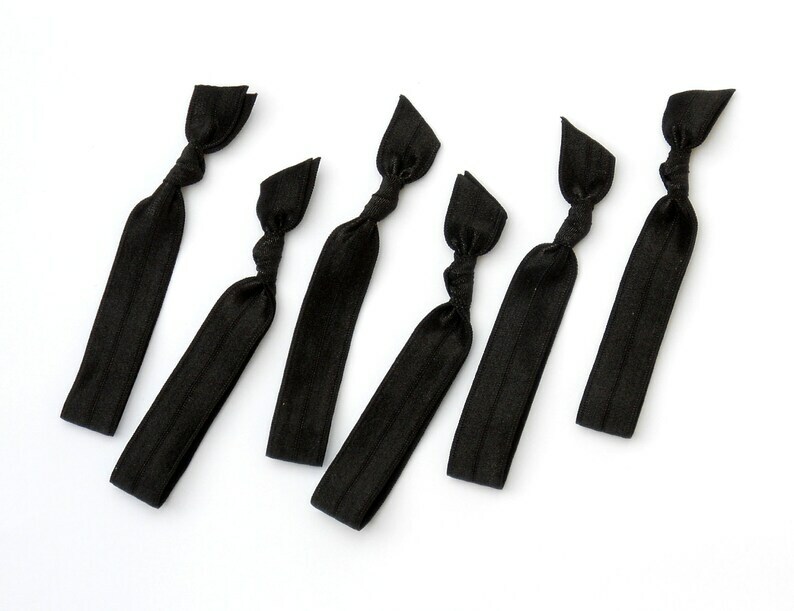 This listing is for a set of 6 comfort elastic hair ties - all Ink (Black) (last picture is reference for packaging). Repeat buyer. These are the best ties out there. They are tied to the perfect length!